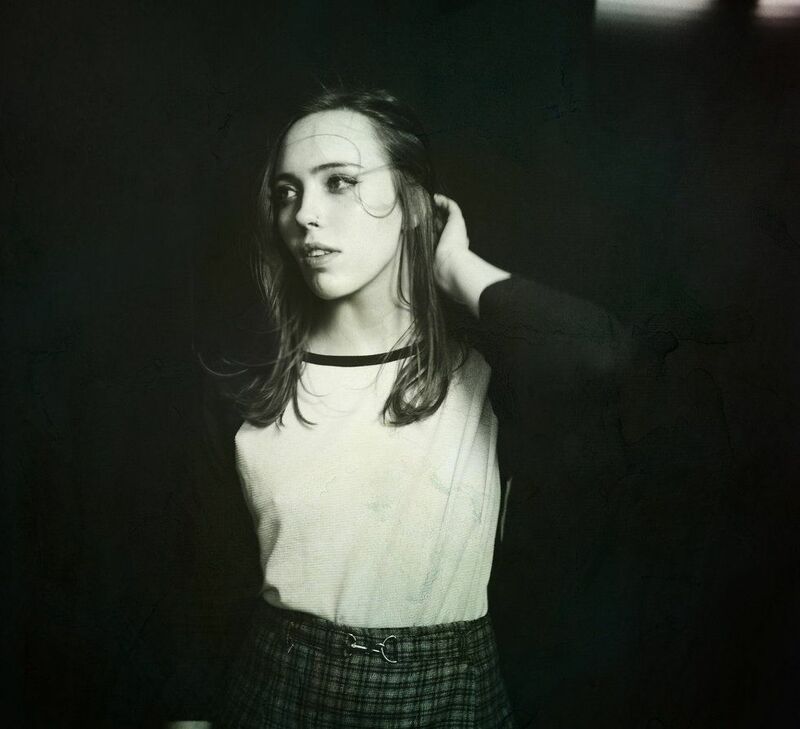 As Soccer Mommy, 20-year-old Sophie Allison makes heart-wrenching indie-rock that pivots from searing rage to crushing melancholy to quiet recollection of romantic euphoria. It is the kind of music you listen to when you want to delve deeper into your messy, nebulous anxieties, memories, and nostalgia — when you want to stare those feelings in the face and allow them to exist uninhibited. She lists both Taylor Swift and Avril Lavigne as the music she listens to when she wants to get into her own feelings, and both artists' influence is clear: what makes Soccer Mommy so exciting is her ability to channel Avril's frenetic punk ferocity while also delving deep into her insecurities like Speak Now-era Taylor Swift. Allison recently went on tour with Liz Phair, and has previously toured with indie mainstays like Mitski, Frankie Cosmos, and Phoebe Bridgers. Though she has worked with many women lauded as feminist icons, and her own music radically embraces the kind of vulnerability women are so often shamed for, she is careful to not be reduced to her gender. She is frustrated by critics who think women in indie rock are a passing trend, as if they haven't been contributing to indie music since the beginning. And sometimes, she feels like people want there to be messages in her music that aren't there. PAPER caught up with Allison to talk about astrology, her love of Taylor Swift, and the limiting, sensationalizing ways women in indie-rock are written about. How did you pick your band's name? It was my personal Twitter name. It started as a joke. I used it for all of my social media channels, so it came from that. I didn't think it would be my band name. I didn't I think I was going to have a band, I just thought it was funny. How do you start getting into music? I have always loved music. When I was five or six, I got my first guitar from a fundraiser and I just started trying to write songs on that. After a while, my parents got me a real guitar and I started taking lessons and I have been writing ever since then. At some point, you were uploading songs online. What was that like? Do you feel like you formed a sense of community online? Definitely! The first few tours I went on, there were definitely people who had been following me online that would come out and who would know all my stuff. I was uploading stuff for a year before I actually got a record deal. I was uploading tapes on Bandcamp and a little before that on SoundCloud. I then sent my music to Orchid Tapes and then ended up doing my tape, For Young Hearts with them and that got a little bit of press. After that, my fan base started to grow. Your album has a lot of quiet, intimate moments and also a lot of animalistic, violent imagery. Where does the motivation to use those images come from? The feelings discussed on the album are animalistic and violent at times. I use animalistic imagery a lot more even than I used to to describe the feeling of longing and destroying yourself over another person. You write about your memories and emotions with amazing specificity. What's your writing process like? How do you keep track of those feelings and observations? It's just kind of things that held a significance for me, that's why I remember them. I wouldn't talk about something that didn't hold any significance to my feelings about the subject. I wouldn't even remember it in detail if it didn't mean anything to me. Are there songs that you listen to when your leaning towards feelings of vulnerability and sadness? I listen to old pop stuff from when I was young. When I'm sad I listen to Taylor Swift or maybe some Avril Lavigne. Oh, also ambient music like William Basinski or Aphex Twins. I grew up a huge Taylor Swift fan! What's your favorite album? My favorite album is Speak Now. I like her a lot, I like her early stuff, mostly the first three albums. She was someone that I listened to when I was really young and growing up. Her music just connects me to feelings of being a teenager or young adult and feelings of heartbreak and all of that. Did she influence your songwriting? Yeah, I guess. It's hard for me to say. I have trouble naming people that influence me. I don't think about other artists when I'm writing, so it's hard to say who has influenced me, but yeah, I would probably say that she probably has influenced me in some way. You titled a song "Scorpio Rising," and I saw that you tweeted about your horoscope recently. Are you into astrology? Yeah, I am. I'm not like an expert about it, I'm still learning. I like to look at my chart online and look up the people around me. It's fun to think inwardly about myself. You can either just do it for fun, or you can believe in it and get a lot out of it too, I think. Do you identify with Gemini traits? Yeah, definitely. Just, being an airhead and scattered, having a short attention span. I feel like Geminis are also very fun and upbeat a lot of the time. Lately, a lot of people are celebrating women in indie-rock as if their presence is a new trend, even though women have always been making major contributions. How do you feel when people talk about that? I think that most women in music feel that way — that is has been a thing for a long time. I think everyone is kind of tired of being interviewed and asked "What's it like — women are doing so well right now." I think it's good to talk about it once or twice, especially in indie-rock, where women are doing really well right now and there is some truth to it, they are what everyone is talking about... but women playing music is not a new concept. It just shows, it kind of tells how people think when it's so astounding to them, this phenomenon of girls playing music. It's like, "Why are you so shocked?" It's very surface level empowerment. And people are mostly talking about a very specific kind of woman — young, attractive women are what everyone wants to talk about. It can get a little exhausting. It's definitely fetishizing. Women of color aren't being celebrated as much. Trans women aren't being celebrated as much. And older women too. "Women of color aren't being celebrated as much. Trans women aren't being celebrated as much. And older women too." It's hard because of course it's important to talk about feminism and to talk about different kinds of oppression, and you do want to talk about it if it in some way affects your work, but it's frustrating when your artistry is reduced by one aspect of your identity. I think people want it to inform your work more than it actually does. They want you to have this deep feminist meaning behind a song and you just want it to relate to anyone. I wasn't really thinking "I'm an empowered woman at this moment," I just was feeling emotions and writing. Speaking of songwriting, I read in another interview that you are inspired by dramatic moments in your life and you think about what song would be soundtracking them. Have you ever thought about what kind of TV show your album would soundtrack? I imagine my songs playing in imagery in my life specifically and dramatizing it in that way. Although I feel like "Scorpio Rising" could be in a climactic moment of an indie movie or something. I'm much more of a big picture person when I'm imagining it than specifics.